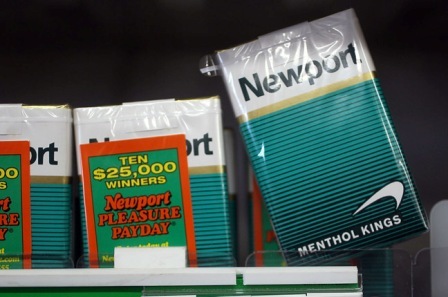 Leading health organizations and community groups recently applauded the Oakland City Council’s unanimous final ap­proval of a measure to keep flavored tobacco products – including menthol-flavored cigarettes – away from youth. The new law will go into effect mid-2018. “We must do everything we can to protect young people from tobacco addiction. Flavored tobacco products – including menthol cigarettes and candy-flavored e-cigarettes – are a key part of the industry’s strategy to lure youth, particularly youth of color, into becoming tomorrow’s addicted users. That means ending the sale of flavored tobacco products – which will reduce teen use and ultimately save lives – is an issue of both health and social justice. We applaud the Oakland City Council for voting to end the sale of flavored tobacco products in the city. Young menthol cigarette smokers are disproportionately African American, Asian American, LGBT and from low-income communities already significantly impacted by tobacco-related disease. For far too long the tobacco industry has successfully blocked these communities from meaningful engagement in public health policy that addresses the needs of all members of the community. • Oakland joins a growing number of cities and counties in California – including Berkeley, Los Gatos, Palo Alto, Sacramento, San Francisco, Santa Clara County and Yolo County – that have adopted or are considering similar policies. • A government study has found that 81 percent of kids who have ever tried tobacco started with a flavored product and 80 percent of current youth tobacco users had used a flavored tobacco product in the past month. • The anesthetizing effect of menthol makes the smoke easier to inhale and masks the harsh taste of tobacco, making it more appealing to new users. A report by the Food and Drug Administration found that those who begin smoking menthol cigarettes are more likely to progress to a regular smoking habit and have a higher level of nicotine dependence than those who begin with non-menthol cigarettes. • Young smokers are also more likely to use menthol cigarettes than other age groups. More than half (54 percent) of youth smokers ages 12-17 use menthol cigarettes compared with fewer than one-third of smokers 35 and older. Among African-American youth, menthol use is even higher: seven out of 10 African-American youth smokers smoke menthol cigarettes. • Tobacco use is responsible for one-third of the cancer deaths in this country and causes nearly half a million deaths annually from all tobacco-related illnesses including heart and lung disease. • The No More Flavored Tobacco coalition has launched an educational website (NoMoreFla­voredTobacco.org) to inform the Bay Area about what’s at stake if flavored tobacco products aren’t reined in. Featured on the website is the report “The Flavor Trap: How Tobacco Companies Are Luring Kids with Candy-Flavored E-Cigarettes and Cigars” that details the dangers of flavored tobacco and how it is being marketed to hook the next generation to a potential lifetime nicotine addiction.